LACUNA is freeware! You have the permission to use the font for every kind of publication (electronic/print), it doesn’t matter if its commercial or not. You can copy and give it away to your friends as long as the font-info-file is included with the postscript or true type data. 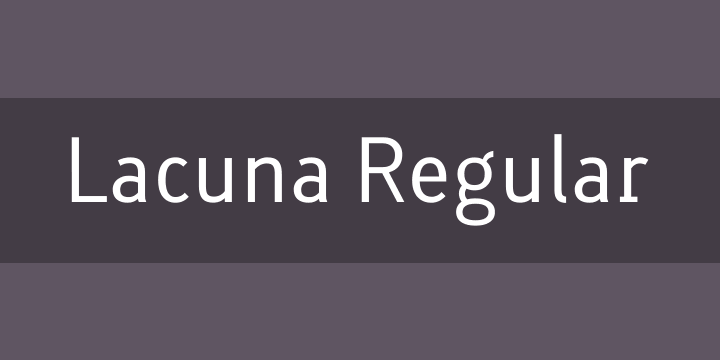 Lacuna may not be sold or redesigned without permission of the designer! If you do so – we have uncanny voodoo-powers and friends in Moscow. We are looking forward to your comments, suggestions and to any information if/how you incorporated this font.